Today marks one year since I signed the lease on my first (and only) New York apartment. We had been in the city for a few days, saw the apartment on the first day, and I fell in love with it. I was wishy-washy, still dragging my feet through Washington Square Park just moments before going to the broker’s office and sealing the deal. As I was getting ready to leave for the city a few days prior, my niece sat on my childhood bedroom floor, pouting at me. “I’m coming with you,” she insisted. I gently broke it to her that she wouldn’t be able to come. She had been staying with me for a few weeks at this time, and as such had started to pick out her favorite songs and artists from my collection. 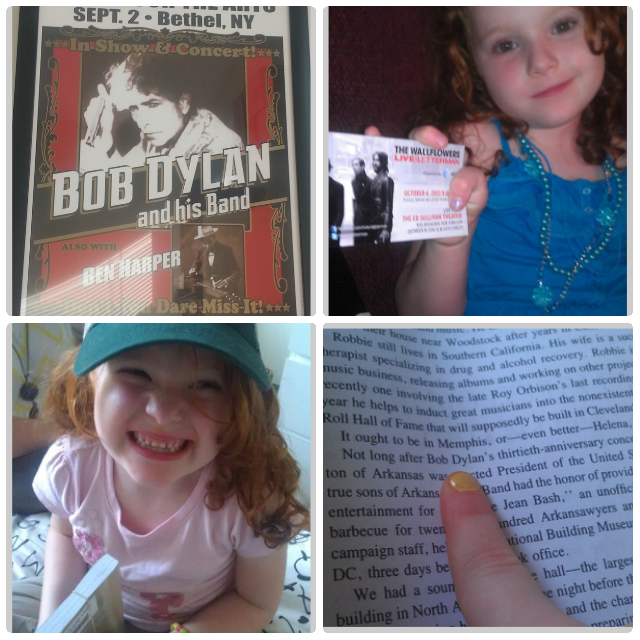 She had grown an affection for Jakob Dylan, especially when it came to luring her to sleep. Somehow, she found out that I planned to see The Wallflowers while in the city, which caused her to protest even more. “Can I make him a card?” I agreed. “Do you promise you’ll give it to him, no matter what?” I shrugged and agreed again, as I finished packing up my bags. I couldn’t let the girl down. So, after signing the lease on the apartment, my best friend/roommate at the time and I went to Arturo’s and drank margaritas to honor Tequila Day, and then made our way to the Bowery Ballroom for the concert. I made sure the card she made was in my purse, just in case. And, sure enough, after the concert he was standing outside, and I don’t remember the particulars, but I did give him the card. The memory this girl has, I tell you. I couldn’t picture that card if I tried. The next day she was hanging out in my bedroom, and she noticed a framed poster on my wall from a Bob Dylan concert that I had gone to. “What is that?” She sassed at me. Have I mentioned that she was only five at this time? Barely five. 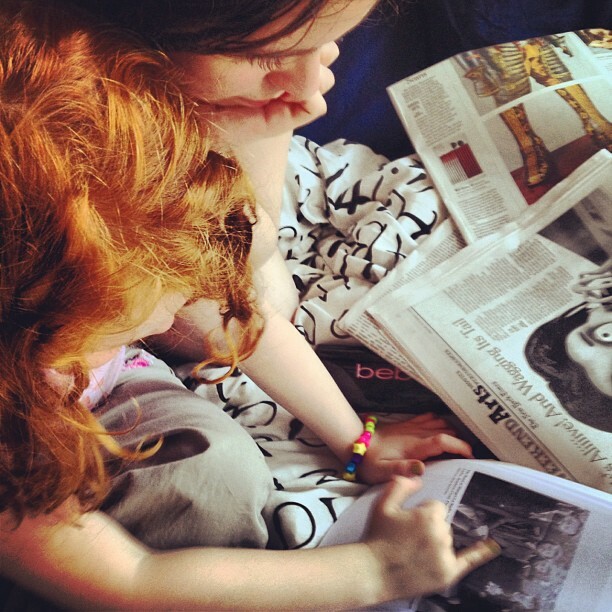 She then started fiddling with a book I had lying out – Levon Helm’s This Wheel’s On Fire. She asked me to tell her all about The Band, and learned each members name. When I wasn’t looking, she went through and starting singing “Bob Dylan, I found his name, lalalalala” as she would point it out to me. She also stole my Love For Levon hat from the concert a couple of nights prior. I saw Bob Dylan again after that on the night before Thanksgiving, then took an early morning flight to spend it with my family. When I told Genny, she asked me to get her a button the next time. I have failed miserably to do this. I also feel kind of bad because I stayed at her house the other night, and her mom and I went to see Bob Dylan…and Garth Hudson from The Band showed up. Someday, Genny, I’ll take you to see Bob Dylan and Jack White. Don’t worry.